Shelley Oickle has been a teacher at Rothesay Nursery School since 1998. 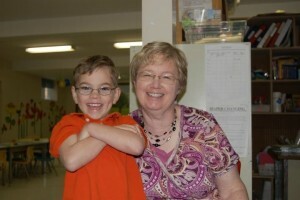 She has been an integral part of the school’s success. The experience she brings to our students in invaluable. Her devotion to the school goes far beyond her job description. Shelley has the ability to see the world through the eyes of a child. She engages them in their natural learning environment and she leaves a lasting impression both on the student as well as their parents. Every child should have the privilege of her positive influence and sense of humour.